Last week, we told you a bit about the history of Roslindale Village and introduced Historic Boston’s Commercial Casebook. 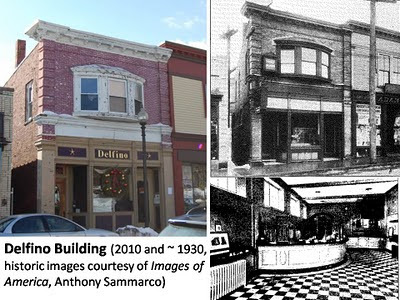 This week we’re presenting a summary of Roslindale Village’s most historic buildings that, if rehabilitated or rethought, could strengthen the economic viability of the commercial district. 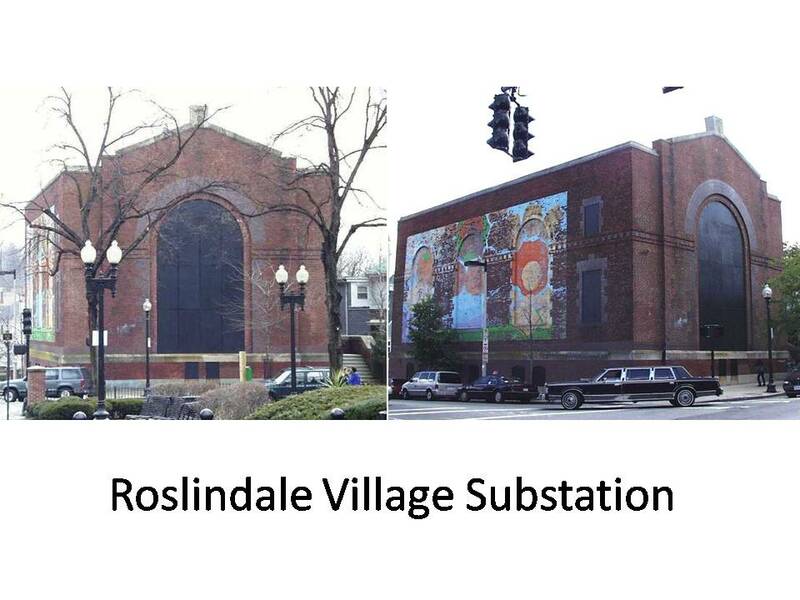 Roslindale Substation: Located in the middle of Roslindale Square, the Roslindale Substation is an electrical power conversion and transmission station, constructed as part of the Boston Elevated Railway's rapid transit system in 1911. Designed in the Neo-Classical style by architect Robert S. Peabody, the Substation converted alternating electric current (AC) transmitted from a new South Boston Power Station via underground cables into direct current (DC) for use by local trolley cars. The construction of the substation in 1911 also marks a time when Roslindale was expanding and becoming a very popular residential and commercial neighborhood. The electric trolley car system helped to spur on that development and settlement. Today, the Substation is owned by the City of Boston and is awaiting redevelopment. Once rehabilitated and with the establishment of a new use, the Substation will be an anchor for the district and activate this section of Washington Street across from Adams Park. Fairview Hall: Perched on the important and very visible corner of Corinth, Poplar and Washington Streets, the 1891 Fairview Hall building is likely the earliest extant commercial building in Roslindale. The building was designed by James Murray, who went on to design the stick-style Roslindale Congregational Church on Cummins Highway in 1893, which is listed on the National Register of Historic Places. 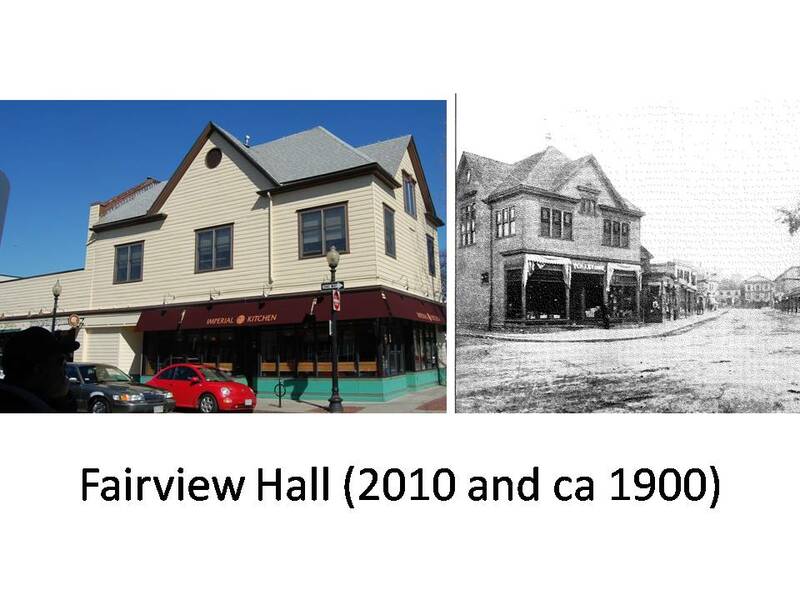 The wood building was constructed to accommodate a store on the first floor and a meeting spaced called “Fairview Hall” on the second floor. In 1937 the meeting hall space in the upper stories was transformed into offices. The storefronts were “modernized” in 1957, and the windows have been replaced, which drastically changed the appearance of the building. 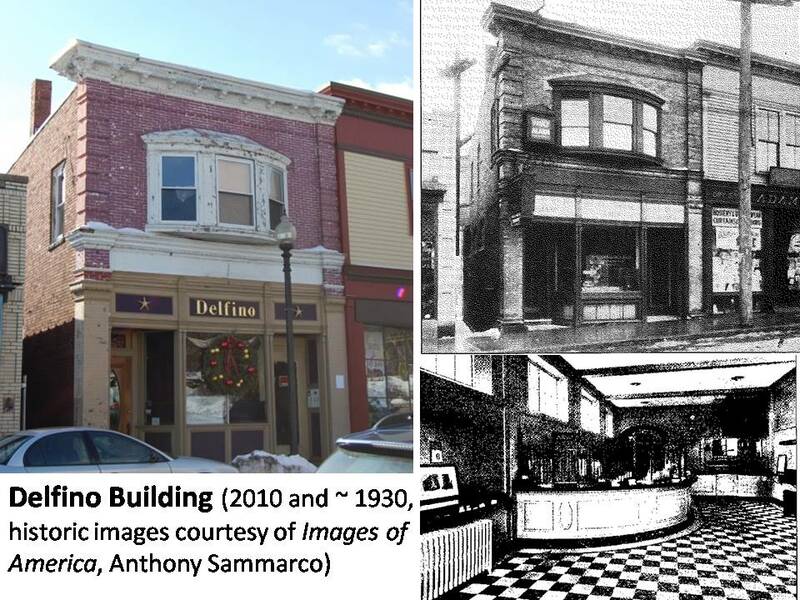 Delfino Building: This narrow, two-story commercial building is one of the oldest buildings in the district and also one of the most architecturally detailed. The building features a bold bracketed cornice and prominent brick corner quoins. The second floor rounded bay window dominates the façade. The storefront still retains early decorative elements. The first floor has been used as a bank, a store, and a restaurant. The second floor has alternated between office space and a residential lodging use several times over the years.